This three-hour workshop will expand your repertoire of moves and work on improving technique. It will focus on dancing to slower music, mostly country ballads. Note: This date is tentative. The class will be rescheduled if not enough people are registered. Registration is required in order to attend. 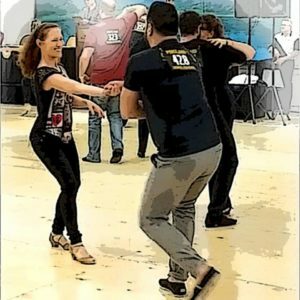 In this three-hour workshop from noon to 3 p.m. May 5, dancers will review country two-step fundamentals (frame, timing, lead/follow technique, turning) and then work on some intermediate patterns, including rhythm variations. This is not a beginner class; students should be very comfortable dancing country two-step. Note: This date is tentative. The class will be rescheduled if not enough people are registered. Registration is required in order to attend. Hazel Dell Grange No. 1124, 7509 N.E. Hazel Dell Ave.
All ages, child friendly and alcohol free, held the second Friday of each month. 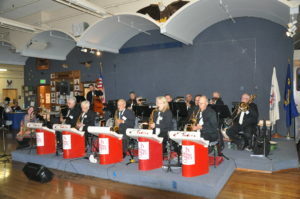 Arrive at 7:30 p.m. to learn the basics or help others, and then dance to live music from 8 to 10:30 p.m. Anyone is welcome, even for people who don't want to dance; there is plenty of seating and free parking. Wear comfortable shoes and bring a bottle of water. Admission is $6 to $15 on a sliding scale at the door. 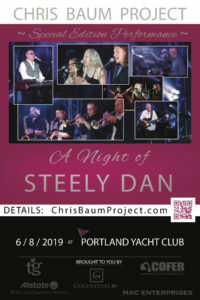 The Chris Baum Project — a Northwest-based Steely Dan tribute band — presents “A Night to Dance to Steely Dan’s Greatest Hits," at the Portland Yacht Club, 1241 N.E. Marine Drive, Portland, at 7 p.m. on Saturday, June 8. Tickets ($20) are available at www.chrisbaumproject.com.